This is probably cheating, but I am counting this as an official post. So that’s one down and one to go in February, and that’s me keeping my New Year’s Resolutions. (Thank goodness it’s a Leap Year). 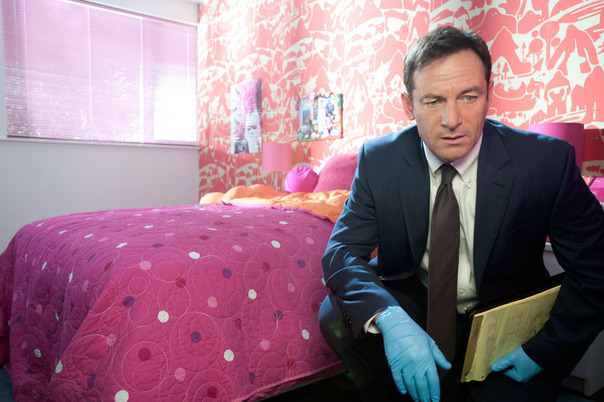 Anyway, I am super-excited for the premiere of Lucius Malfoy’s Jason Isaacs’ new tv show, Awake, which premiers on Thursday, March 1. Isaacs plays detective Michael Britten, who gets into car accident with his wife and son. He awakes to find that his wife has died, although his son has made it through. But what happens when he goes asleep is where it gets exciting. When he wakes up again, he is now in a world where his son has died, but his wife lived. Clearly this is a show made for me. I haven’t had time to watch the preview of the first episode on NBC, although I wish I had if for no other reason than I could pretend to be like a real critic. However, I watched a preview way back in July for this, and have been waiting for it to show up ever since. It seems to be getting some decent reviews, and has a good cast. In addition to Isacc’s, B.D. Wong and Cherry Jones play therapists in each of the respective ‘worlds,’ and he has a different partner in each ‘world’ as well. And honestly, with this premise, plus the opportunity to stare at Jason Isaacs (playing a Yank, btw) for an hour each week, you know I am all in.